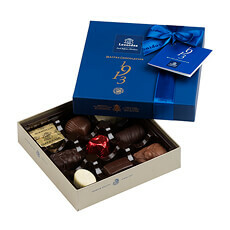 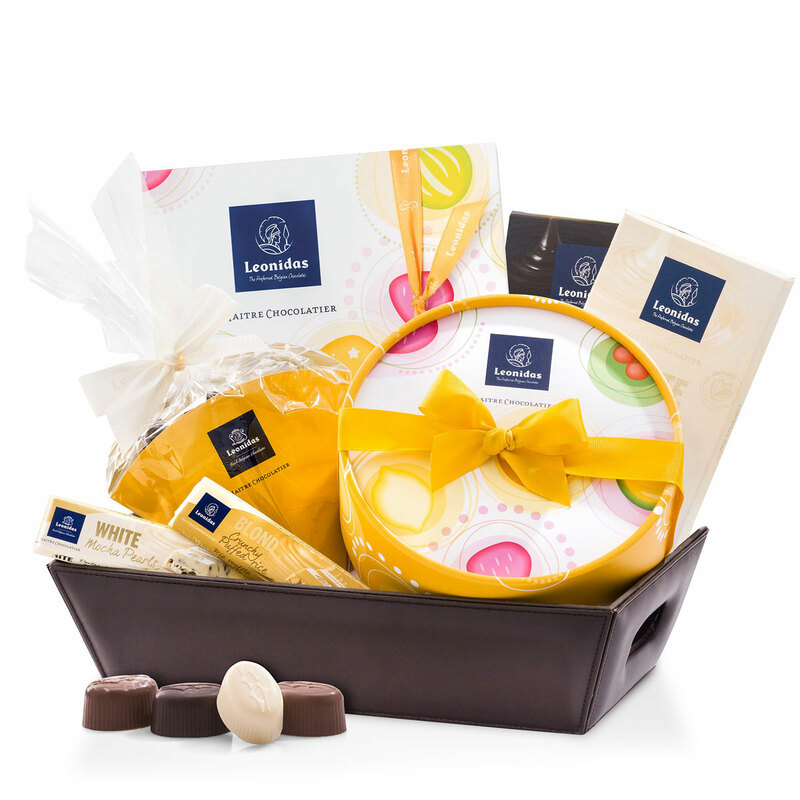 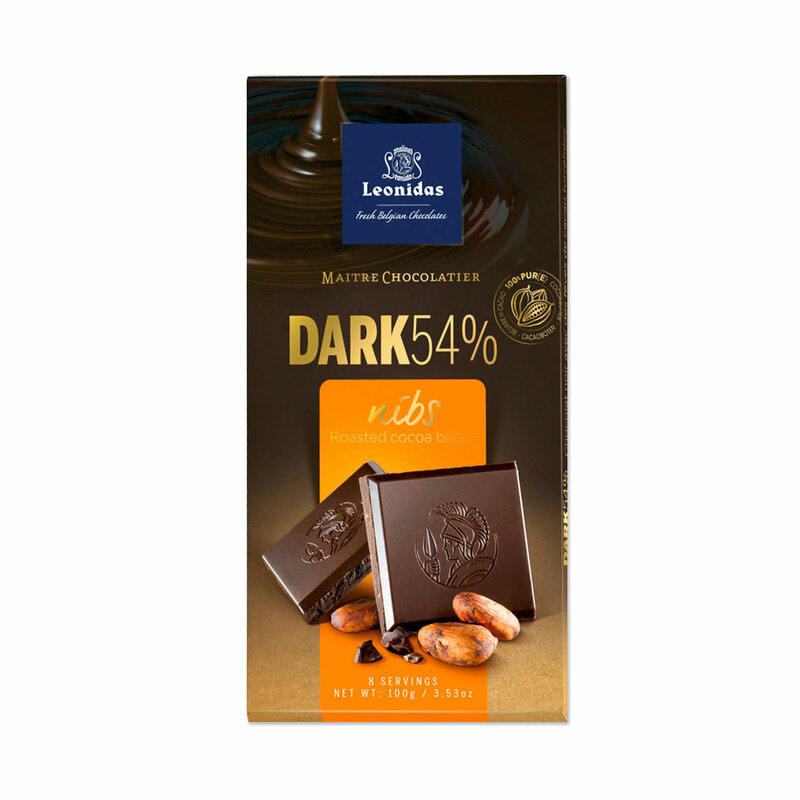 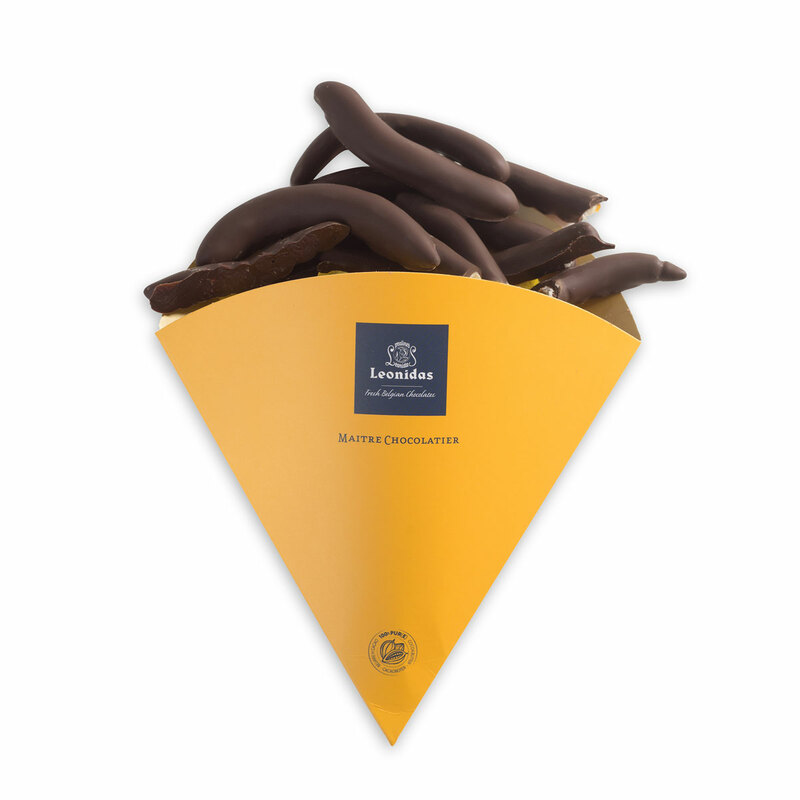 Celebrate the joys of summer with this sweet new Leonidas Summer Hamper filled with scrumptious Belgian chocolate. 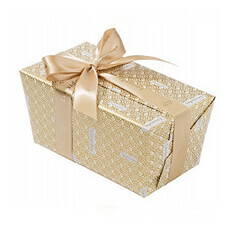 It's the perfect gift idea for summer birthdays, graduation, Father's Day, or summer weddings. 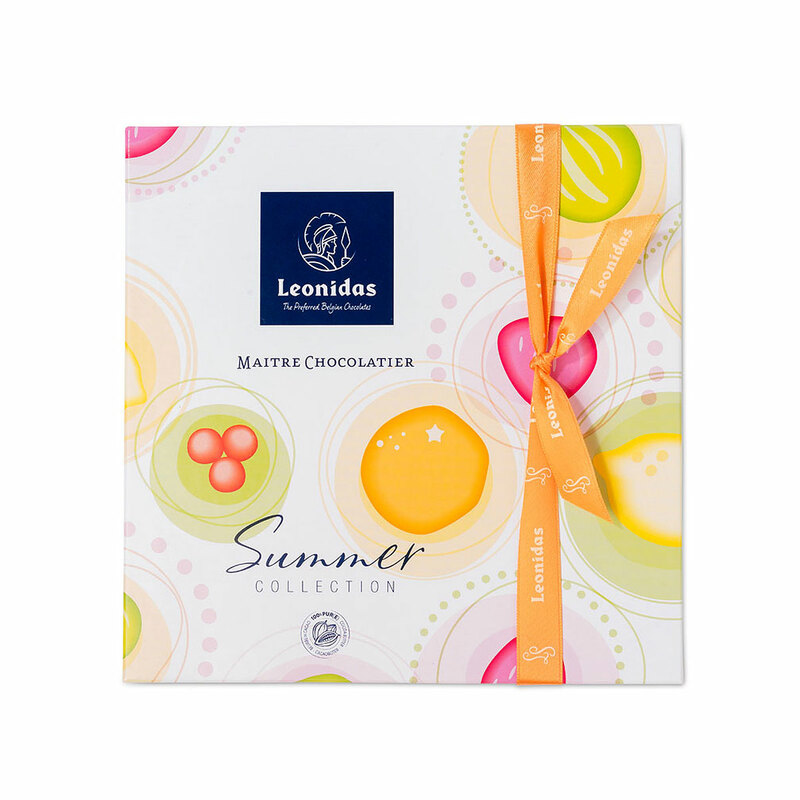 The Leonidas Summer 2018 gift boxes are like a ray of sunshine. 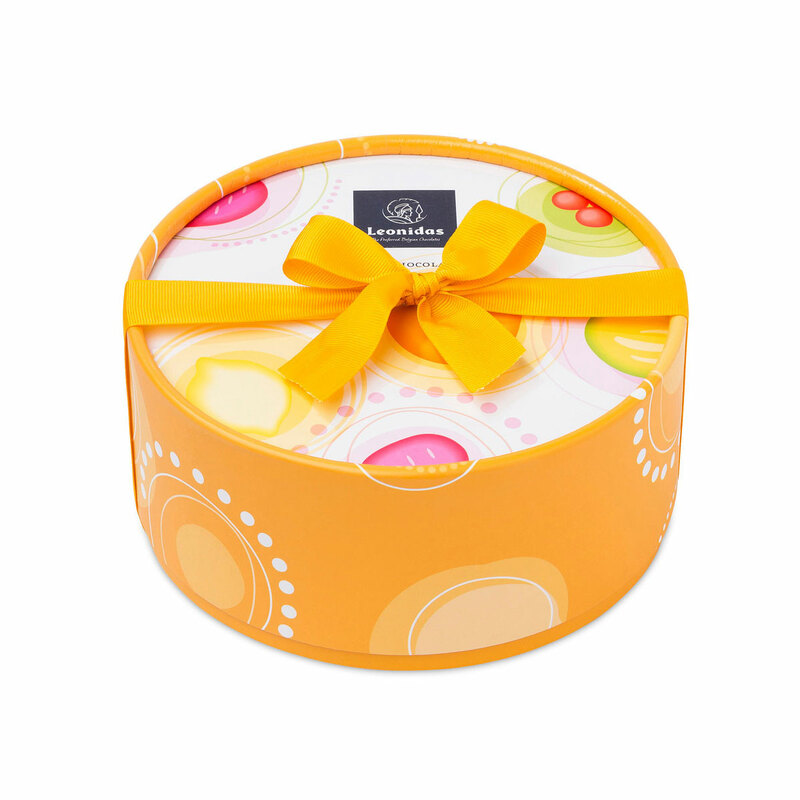 The classic Dora gift box has a fresh new style for summertime; inside await the best Leonidas classics in milk, dark, and white chocolate. 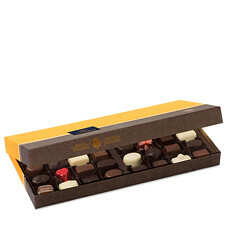 The 20 pc Summer Collection gift box is filled with seasonal “Irrésistibles” chocolates with refreshing flavors such as cassis, pink grapefruit, peach, and strawberry & rhubarb. 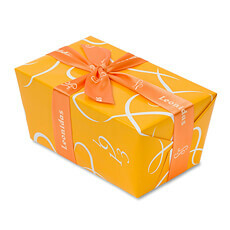 Juicy chocolate covered Orangettes are a favorite treat to enjoy all year long. 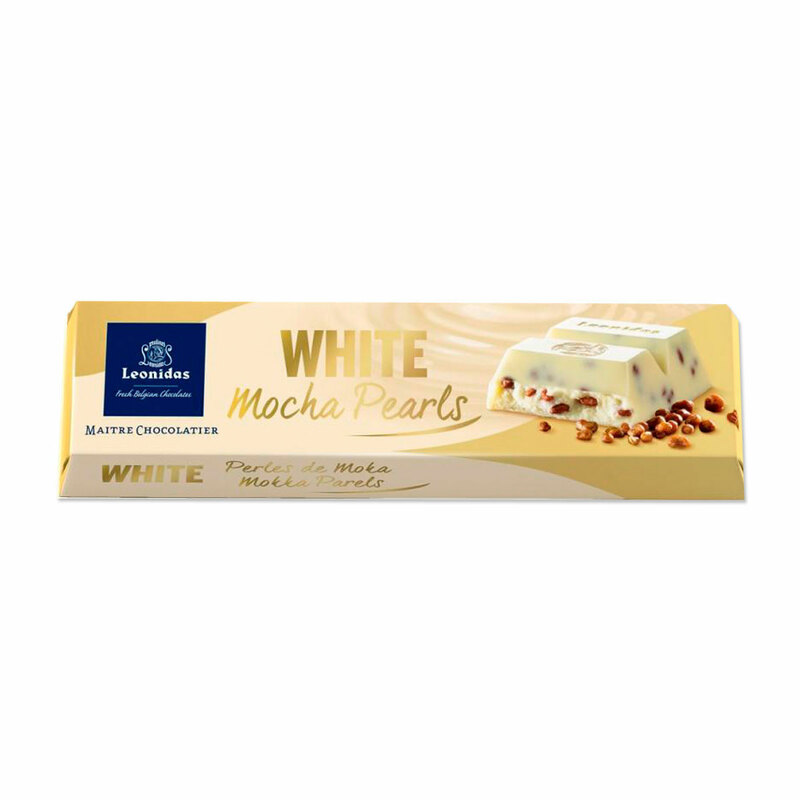 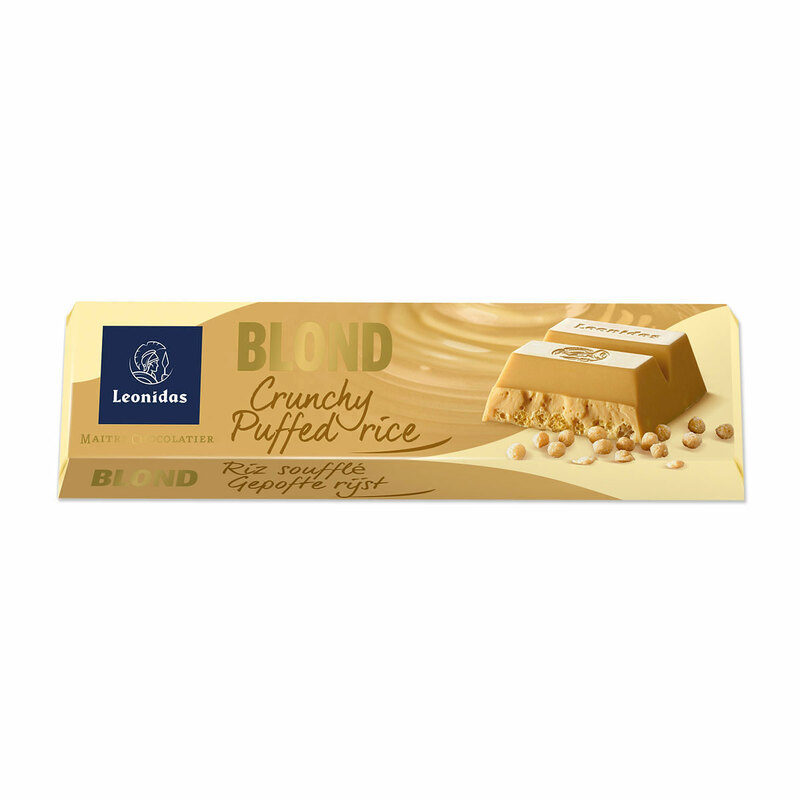 This wonderful gift hamper also includes two tablets and two bars in tempting combinations: dark chocolate with roasted cocoa beans, white chocolate crunchy puffed rice, white chocolate mocha pearls, and blond chocolate with crunchy puffed rice. This Belgian chocolate gift basket will make any summer day even brighter!